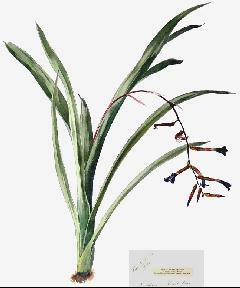 Unregistered bigeneric cross of Billbergia and Quesnelia by Morren. See Detective Derek 02/08b for more details. 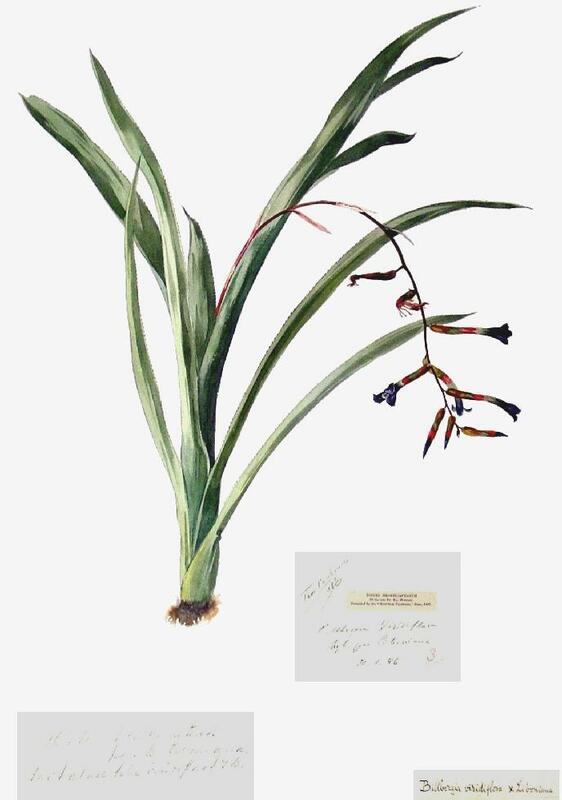 xBillnelia Sebastian Laruelle painting courtesy of Kew Gardens and Harry Luther.